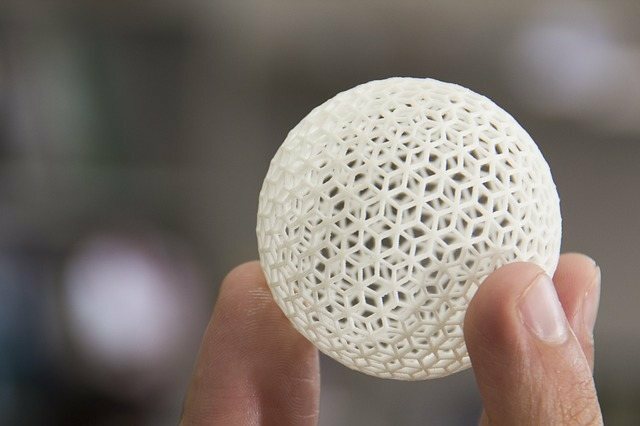 3D printing technology is rapidly finding its footing within different fields including manufacturing, tech, and design among many others. One of the key factors influencing this trend is the fact that more entrepreneurs are now building their businesses around this technology. Are you artistically talented and would like to make money in a tech industry? Starting your own 3D printing business could be a great way to profit from your skills. A 3D printer will probably be your most significant start-up cost, but it’s well worth the price. While it can be tempting to outsource your creations to a third-party printing vendor when starting out, it pays to have a printer of your own. For example, you’re able to deliver your projects much faster and more convenient with an in-house printer. The level of detail of your creations. Some of the common types of 3D printers to buy include FDM printers, Stereolithography/SLA printers, and Selective Laser Sintering (SLS) printers. Visit Total3dprinting to learn more about each of them. If you’re just starting out or working on a tight budget, consider using one of the many open-source 3D software to complete the first several creations. However, as demand for your products grows and business begins to pick, you might want to invest in a paid modeling software with more sophisticated features to improve your projects. A few key factors to have in mind when buying an efficient 3D software include compatibility with your printer as well as ability to accurately orient your models on the print bed. Also, to ensure your model remains stable during printing, your software should be able to support generation. Like any other production process, the choice of materials significantly determines the quality of your 3D creations. With this in mind, consider factors such strength, durability and level of details of the materials you’ll be using for your 3D printing. A great place to start would be to choose appropriate filaments which are the primary materials required for this process. The two most common types available on the market are Acrylonitrile Butadiene Styrene (ABS) and Poly Lactic Acid (PLA). PLA is suitable for beginners as it is cheaper than ABS and is also supported by most standard printers. However, the models created using this filament are prone to deformations when exposed to high heat. On the other hand, ABS is popular among large-scale manufacturers due to its flexibility and strength. For a smooth process and uniform creations, it’s essential to try out several filament brands to find the best fit for your business. Thereafter, look for a reliable supplier, preferably one that is able to deliver big amounts quickly when needed. One of the best decisions you can make for your business (and not just 3D printing) is to improve your skills and industry knowledge continuously through training. Invest in yourself by taking 3D animation courses and also encourage your staff to follow suit. Remember, for you to thrive in the highly competitive design industry, you need to perfect your art including keeping up with the latest 3D printing trends. You can choose to take classes online on platforms such as Udemy or enroll in a tech school in your area. Apart from improving your 3D skills, try to educate yourself on how to avoid common workplace accidents associated with this industry. For example, you’ll be dealing with heated plastics and sometimes with materials that emit potentially harmful fumes. Learn how you and your staff can take necessary precautions and stay safe during the entire production process. So, you now have a printer, the necessary 3D design skills, and a few creations that showcase your abilities. What next? This is the time to get the word out there about your business and start making money. You can choose to start your store and start selling your 3D printed items here. While the process of designing and marketing your website will require a lot of your time, money, and creativity, it offers very high return potential. Alternatively, you can choose to leverage the massive popularity of big marketplaces such as Etsy and eBay to reach broader markets for your products. All you need is to create a seller account on these platforms, post your wares, and wait for customers to contact you. With the future of 3D printing looking brighter than ever, this is the perfect time to start a business in this rapidly growing industry. If you’re passionate enough about design and are ready to invest in quality training, then nothing should stop you from turning your 3D printing business idea into reality.